is born and raised in Iranian Kurdistan and is a Canadian resident now. Living and growing up in Iranian Kurdistan for much of his teenage life, he has witnessed upfront violations of human rights, police brutalities and lawlessness something that ordinary Iranians especially national minorities, among them Kurds, face on daily basis. Due to his father’s participation in the Kurdish national struggle following the Revolution in 1979, his family were among countless other Kurdish family members of dissidents and opposition activists who were forcefully evicted from Iran into neighboring Iraq in the late 1980s by the Islamic regime in Iran. Following undergoing a cumbersome and at the same time dangerous and risky period of refugee process in Iraq and Turkey, he along with his family were subsequently resettled in Canada in 1994. In 2001, he graduated from the University of Western Ontario in London, Ontario with an honours BA degree in Political Science. He has been an active member of Democratic Party of Iranian Kurdistan since 1995 and has served in various committees including the Leadership Committee from 2008-2012. He has also overseen the Party’s diplomatic outreach in Canada and USA from 2003. As part of his activities he has briefed American and Canadian officials and policy makers. 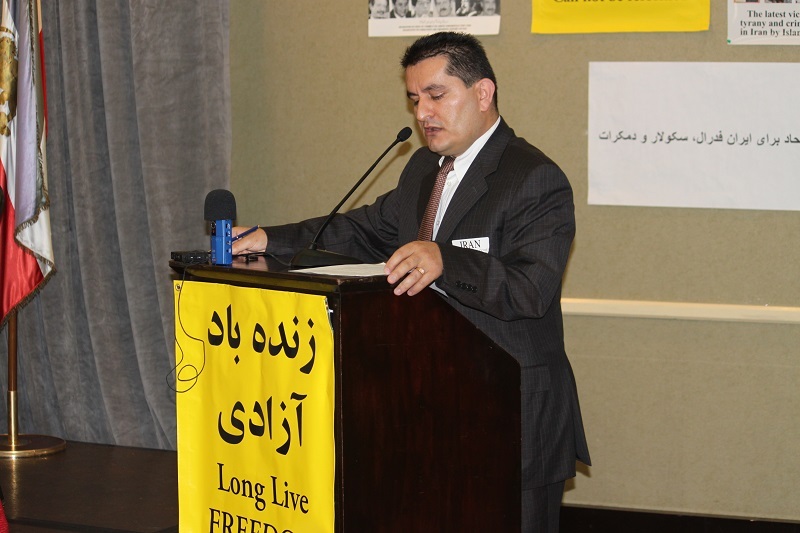 He has testified before the US Congressional members and as well appearing in front of the Canadian Parliament to testify for Human Rights Violation in Iran. He is a regular commentator on his blog, and as well as on other English, Persian and Kurdish media.